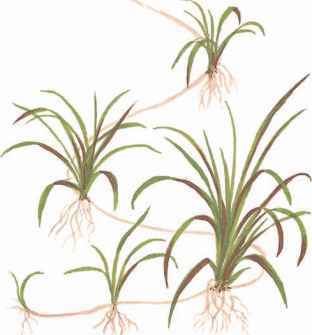 Vallisneria nana is a solitary contrast plant with dark green, rosulate, narrow leaves. 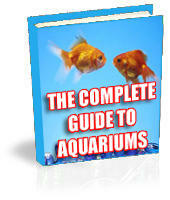 It is extremely suitable as a mid-ground plant, but can also be used as a background plant in small aquariums. The leaves are much narrower than with other species of Vallisneria, nor are they quite as long. In its natural habitat in northern Australia Vallisneria nana reaches a height of only 15 cm, but in aquariums it typically grows to 30-50 cm, which no doubt reflects the different light and nutrient conditions. Vallisneria nana produces offshoots very readily, so compact vegetation will soon develop in good conditions. 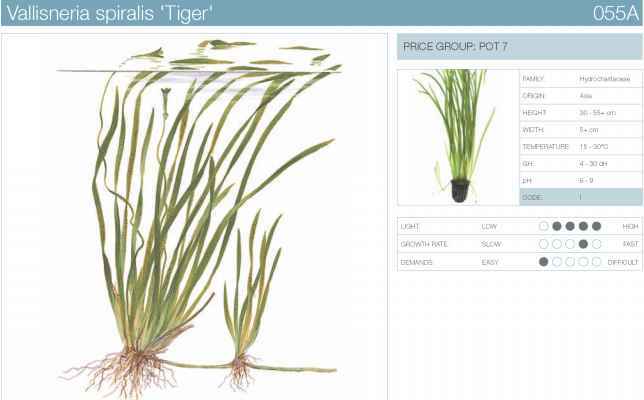 Vallisneria spiralis 'Tiger' is an excellent plant for beginners, growing in virtually all light and water conditions. The name 'Tiger' is due to its striped leaves. 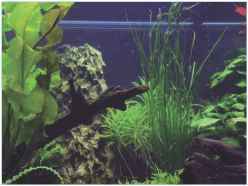 The relatively short leaves make it suitable for small aquariums, and the leaves are also narrow so they do not overshadow smaller plants. Forms runners easily, and is thus easy to propagate. How to cut vallisneria nana? How much can i prune vallisneria nana? 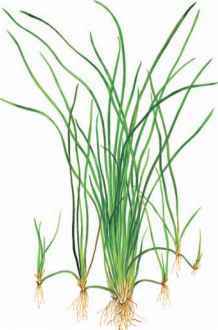 How to Plant Vallisneria Nana?